Many marketers tend to think about customer experience (if they think about it at all) in very broad, generic terms, such as “providing excellent customer service,” “being professional” and “delivering quality.” What they neglect to consider is the customer experience in relation to the company’s brand and how the brand should shape the experience. 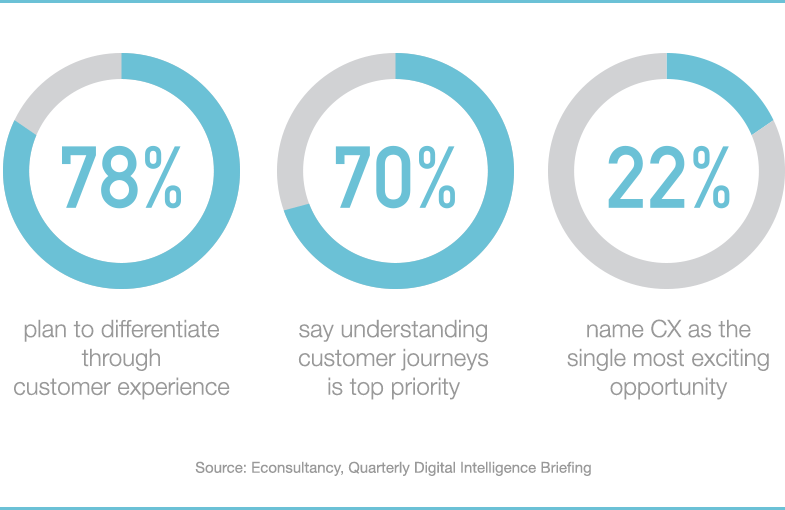 As a result, companies fail to design a highly branded, differentiated customer experience that separates them from the pack. This is not intentional, of course. Every company strives to satisfy customers and wants to be exceptional. Yet, equating “excellence” with a “point of difference” is misguided. Here’s why: A customer who has an “excellent” experience may become a repeat buyer, but even an exceptional experience is not powerful enough to get that customer talking. What’s far more powerful and what creates raving fans, off-the-charts loyalty and repeat business and referrals (in other words, a results machine) is a customer experience that stands out in a way that is a direct reflection of your company’s unique stance in the world – its brand. To accomplish this, you first must have a differentiating brand – a brand that stands for something, makes a singular promise to its customers, and has values and a unique personality. This will create a foundation on which to develop an unforgettable customer experience. Follow these three steps for consciously designing a brand-based customer experience. Make sure your experience map is from the customer’s perspective, not yours. Include both customers and non-customers (examining the experience of non-customers often provides the most insight for improvement). Illustrate the entire customer journey – from the time customers become aware of your company through the decision (purchase) and beyond. Within each phase, map out all interactions and brand touchpoints – both those you can control and those you can’t. Capture what the customer is doing, thinking and feeling – and then sum up the customer’s current experience in each phase (use direct quotes when available). Use any format that works for you, but keep in mind that the more your customer experience map looks like a plotted path than a bulleted list, the more it helps everyone to visualize the customer journey. Pick apart your brand platform by looking at every element separately (purpose, promise, value proposition, individual brand values, etc.). Measure how well your brand is currently delivering on each of those elements at each phase in your customer experience map. Determine areas of improvement – after looking at your customer experience within the context of your brand, you’ll see clearly how it should change. Do you understand the anatomy of your brand [brand platform infographic]? This step focuses on developing new ideas – in addition to those identified in the previous step. For every phase and for every individual interaction and touchpoint identified in your customer experience map, ask yourself and your team: To deliver on our [purpose, promise, values, etc.] at this [phase, interaction, or touchpoint], what would need to change to ensure that the customer experience is 100% on brand? Although brainstorming new ways to better reflect and reinforce your company’s brand throughout the entire customer experience is not a one-and-done proposition, it also doesn’t have to be overly complicated. Even seemingly small changes can create big difference. Think about Apple’s in-store concierge, Double Tree’s chocolate cookie and the Geek Squad’s vehicle of choice and you will see just how much of an impact even small but highly branded interactions can have on the customer’s perception of the overall experience. Brand-based customer experience provides even greater opportunity to increase results in B2B, where the sales cycles are longer and the customer investment is more substantial. Because customer acquisition is more difficult and expensive, repeat business can be the lifeblood of a company, and long-term relationships are the ultimate prize. For B2B companies, finding ways to stand out through customer experience is well worth investing time and resources. Take the time to carefully map out your customer journey, and you’ll have a blueprint you can use over and over as part of your annual marketing planning. Before you tackle your customer experience, you need to have a highly differentiated brand that carves out a unique position for your company. Contact us to discuss conducting a brand audit to test the strength of your brand and to learn more about our strategic approach to branding.